Mass surveillance was necessary after 9/11, but not expanding the law to authorize it was a “strategic blunder” that landed the agency in hot water after the Snowden revelations, a former NSA counsel told the agency. “In the wake of Snowden, our country has lost control of the geopolitical narrative; our companies have lost more than $100 billion in business and counting. Collection has surely suffered,” Joel Brenner told the audience at National Security Agency headquarters in Fort Meade, Maryland on Friday. “The damage from the Snowden leaks to American foreign intelligence operations, to American prestige, and to American power... has unquestionably been vastly greater” than if the White House had amended the law in 2002 to allow bulk collection of US phone records, Brenner said. The former NSA inspector general and senior counsel at the agency was speaking at an event marking the anniversary of the 1975 Church hearings on surveillance abuses. The hearings resulted in the 1978 Foreign Intelligence Surveillance Act (FISA). Unlike the abuses uncovered at the Church and Pike hearings 40 years ago, Brenner insisted, “there hasn't been even a whiff of intelligence abuse for political purposes,” in the surveillance exposed through Edward Snowden, a former NSA contractor. “This was the only intelligence scandal in history involving practices approved by Congress and the federal courts and the president,” he said. As Brenner was speaking at Fort Meade, Homeland Security Secretary Jeh Johnson was on MSNBC’s “Morning Joe” show, complaining that the Snowden revelations have driven the demand for encryption and cyber-security that was making government surveillance more difficult. This is in line with Brenner’s principal objection to the White House’s handling of the NSA surveillance. In the speech Friday, he maintained that the bulk data collection program was necessary and right, but both the Bush and the Obama administrations never bothered to provide proper legal cover for it. 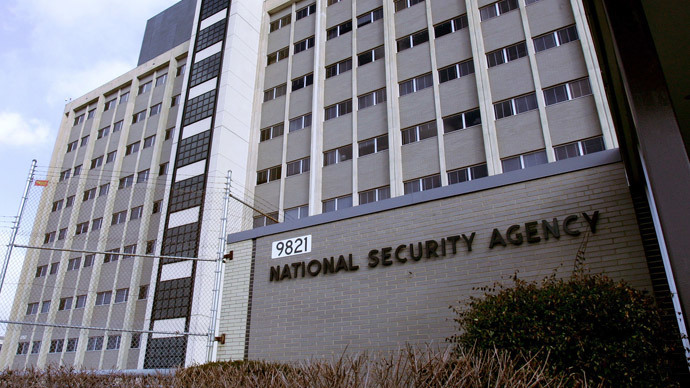 Instead of reforming the FISA regime in 2002 or 2008, the White House simply had the NSA continue collecting data under a classified program called “Stellar Wind,” put into place shortly after 9/11. Brenner had nothing but contempt for whistleblower Edward Snowden, who exposed the program in 2013, comparing him to former FBI director J. Edgar Hoover and intelligence officials whose abuses led to the Church and Pike hearings in the 1970s. Brenner was the Inspector General at NSA from 2002 to 2006, and senior counsel from 2009-2010. In the interim, he was the National Counterintelligence Executive for the Director of National Intelligence (2006-2009). He currently runs a private law and consulting practice and holds a fellowship at MIT.